Bell Helicopter has announced that its V-280 Valor has achieved first flight. The V-280 Valor is a next-generation tiltrotor that is designed to provide unmatched agility, speed, range and payload capabilities at an affordable cost. This milestone represents exceptional progress on the V-280 development program and brings Bell Helicopter one step closer to creating the next generation of vertical lift aircraft for the U.S. military. 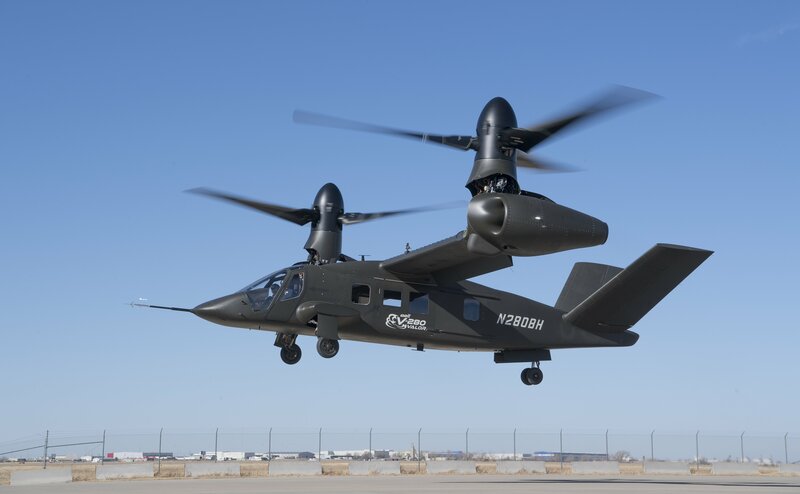 “This is an exciting time for Bell Helicopter, and I could not be more proud of the progress we have made with first flight of the Bell V-280,” said Mitch Snyder, president and CEO for Bell Helicopter. “First flight demonstrates our commitment to supporting Department of Defense leadership’s modernization priorities and acquisition reform initiatives. The Valor is designed to revolutionize vertical lift for the U.S. Army and represents a transformational aircraft for all the challenging missions our armed forces are asked to undertake. The Bell V-280 Valor program is part of the Joint Multi Role Technology Demonstrator (JMR-TD) initiative. The JMR-TD program is the science and technology precursor to the Department of Defense’s Future Vertical Lift program. The V-280 program brings together the engineering resources and industrial capabilities of Bell Helicopter, Lockheed Martin, GE, Moog, IAI, TRU Simulation & Training, Astronics, Eaton, GKN Aerospace, Lord, Meggitt and Spirit AeroSystems — collectively referred to as Team Valor. The Bell V-280 Valor is postured to provide the U.S. Army with the highest levels of maturity and technical readiness. The aircraft is designed to provide the best value in procurement, operations and support, and force structure, while delivering desired leap-ahead performance capabilities with increased maintainability, reliability, and affordability to the Department of Defense (DoD). With twice the speed and range of conventional helicopters, the Valor is designed to offer maneuver commanders unmatched operational agility to self-deploy and perform a multitude of vertical lift missions currently unachievable in one aircraft. The Bell V-280 is a combat force multiplier with superior performance, payload, survivability, and reliability to give the warfighter the decisive advantage.